This week on The Skin We’re In, Dr. Jim Beckman talks about anti-aging products and why you should use them sooner rather than later. Learn more about your skin by listening to this advice from Dr. B. 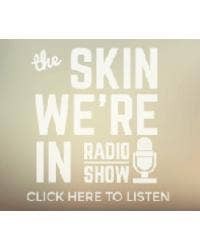 This week on The Skin We’re In, Dr. Jim Beckman talks about skin care products and which products are the most important for keeping your skin healthy. Learn more about your skin by listening to this advice by Dr. Beckman. This week on The Skin We’re In, Dr. Jim Beckman talks about fine lines around lips, what causes them and how they can be treated. Learn more about your lips by listening to this advice from Dr. B. This week on The Skin We’re In, Dr. Jim Beckman talks about NuPeel Natural Enzyme Peel and Eternox Peptide Crème and the clinical study that was conducted using those products. Learn more about the results of the study by listening to this advice from Dr. B. This week on The Skin We’re In, Dr. Jim Beckman talks about the upcoming webinar series on chemical peels. Learn more about this educational tool by listening to this advice from Dr. B.